Some of my most vivid memories from childhood are of the weeks preceding Christmas. Under the guidance of my mother, our household holiday regimen was elaborate and anticipated. Early on the morning after Thanksgiving, we were up pulling out boxes of decorations and wondering how the lights got so tangled up again. We assembled the Dickens village (whose residents colonized more of the living room each year until they had expanded into a booming metropolis). We drove up into the mountains to cut down a fresh tree. We swapped out every piece of decor in the house for its Christmas alternative. We hung garland along every available banister and counter. We put apple cider on the grill over the fireplace. The results were dazzling. 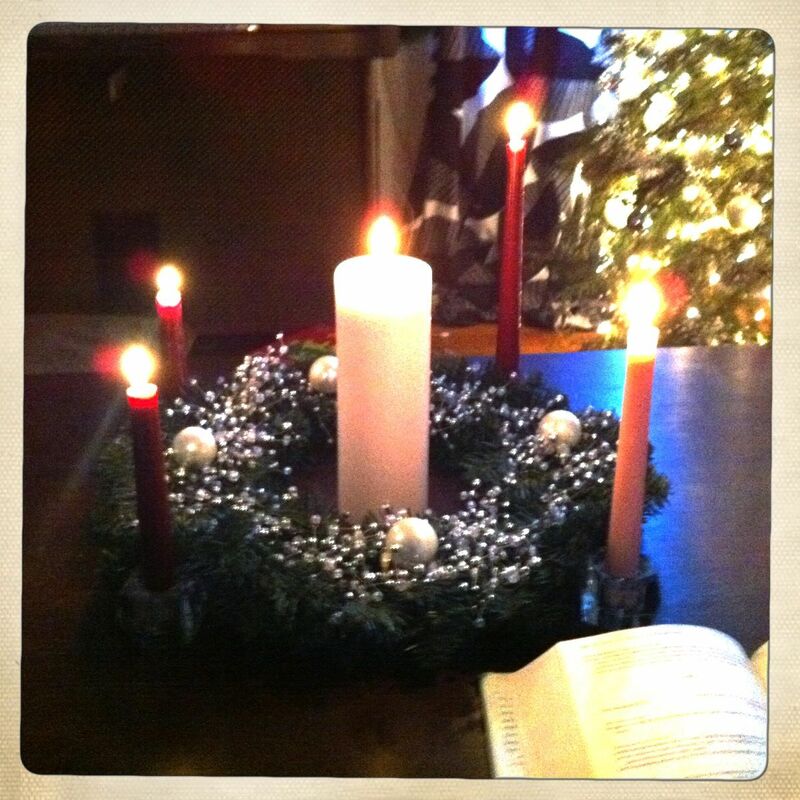 And, each Sunday night, we’d gather around the dinner table and light the next Advent candle. We’d sing a song, listen to Scripture, and remember the story. As a young child, I didn’t really know what all this meant. But I knew it was special. And so I paid attention. Even though I didn’t really understand what it meant, I knew that Jesus was worth the extravagance of lights and cider and candles and Dickens figurines and nativity sets and trees hung with ornaments. The Church Seasons are a way of living your life by the rhythm of Jesus’ life. We all set our calendar by something. For some it’s the academic year—9 months of toil and 3 of blessed (or chaotic) freedom! For other’s it’s the financial year, or the cycle of Hallmark holidays. We order our lives by these times of remembering, of taking stock, of traditions. As Christians, it makes sense to set our rhythm to Jesus’ life. We remember his coming and long for his return in Advent. We rejoice that he came among us and wonder at his humble Incarnation for twelve days at Christmastide. We ponder how this God-with-us life is the light of the world during the weeks of Epiphany. Then we hear his call to discipleship and remember our need for God’s help during Lent. Holy Week is a special time focused on the love of God that led Jesus to die for us—and then the joy of Eastertide begins, “He is risen indeed!” And then we enter into the long slog of Kingdomtide (also called Ordinary Time) when we turn to ask how we can live out the Kingdom here and now. This journey, round after round, takes the stories we know and the things we believe and puts them front and center. This is what we choose to set our minds on, whether we feel like it today or not. And we trust God that, year in, year out, the stories are sinking in, doing their work, making us more like Jesus. We’re so excited to take this journey with you and share stories, memories, ups and downs. As you prepare for Advent this week, may God bless you with hope: the settled, soul-deep certainty of good things to come from Him.